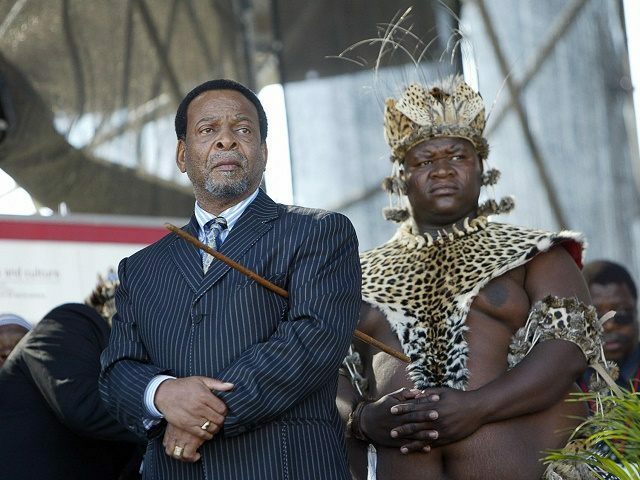 King Goodwill Zwelithini spoke while visiting a cattle auction and gave a speech reflecting on his life and 44 years on the throne of the Zulu tribe. Straying into potentially controversial territory, the King remarked on the quality education in farming he had received from the white Afrikaners and the genuine respect he had been treated with by the former white rulers of the nation, reports South Africa’s Times. The King also praised South Africa’s strong army and economy during Afrikaner minority rule, and lamented the declining state of the nation since black majority rule. Commenting on the sudden wave of anti-colonial feeling sweeping the country which has seen statues to the fathers of the nation torn down, King Zwelithini compared the people of the country to arsonists who “loved to use matches” to destroy apartheid-era infrastructure. “The economy that we are now burning down. You do not want to build on what you had inherited. You are going to find yourselves on the wrong side of history”, he said. Remarking on the failure of post-apartheid South Africans to build any legacy of their own, the King said presidents including Nelson Mandela, Thabo Mbeki and Jacob Zuma lived and governed from colonial era buildings, but did not appreciate them. The King also revealed he kept the medals awarded to the nation of the Zulus by the old regime on his palace wall, such was the respect he accorded them. The Royal household has moved to defend the King, insisting his remarks had been taken out of context and were being used by interested parties to destabilise the monarch. Far from exclusively praising apartheid, a spokesman said, the King had actually been calling on young South Africans to be more humble. Suggesting they take a leaf out of the King’s book, the next generation of Zulus should take training in farming techniques from anyone with the knowledge to give them — even if those more knowledgeable happened to be white.